Ergonomic and easy to use acu-point or trigger point locator and stimulator. 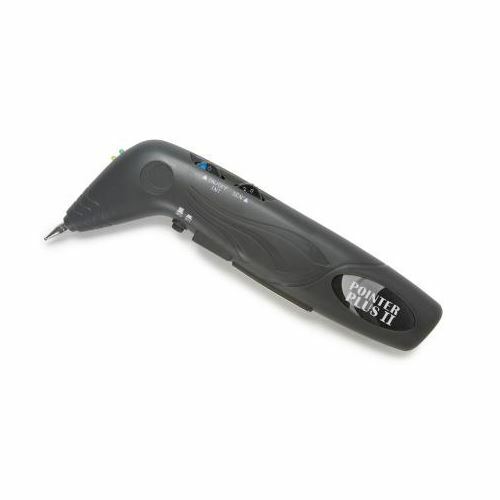 Push button stimulation feature for instant treatment of the point right after detection. Pulse frequency is fixed at 10 Hz. Includes 2 probe tips, hand grounding pole with attached wire, 9 volt battery, carrying case and instructions. This unit is not CSA approved.